Sefula Seji has been a moderately successful poker pro of late, but now the question is, How much of that moderate success does he owe to cheating at poker, specifically card-marking? And that's not to say that Seji hasn't engaged in other forms of poker cheating at the brick and mortar poker tables. The New Jersey native (I know a thing or two about card-cheats from New Jersey) got busted at the Sands casino in Bethlehem, Pennsylvania, where flocks of mostly amateur and borderline professional cheaters have been trying their tricks since table games came to Pennsylvania casinos last year. Seji's trick was using sandpaper to mark tiny scratches on the tops of the card-backs. I don't know if he was marking all the cards or only high-value cards as the information being passed along does not seem to me very accurate. In any case, though, Seji's card-marking poker cheating scheme is getting lots of attention in the poker-cheat world. Is it that this guy was something special as a cheater? No, I don't think so. Although it appears that Seji's card-marking talents were respectable, marking cards with sandpaper is a very old scam and should be detected by casino surveillance if the cheats take a lot of exposure doing this. 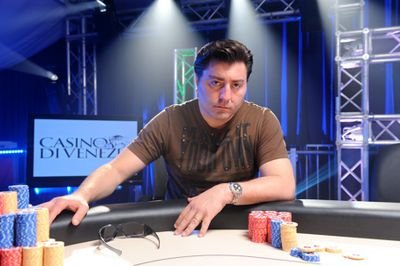 I think Seji is getting attention simply becasue he is another poker pro, whether it be in brick or mortar poker rooms or online, who has gotten caught cheating. Just like Russ Hamilton, Sorel Mizzi, Josh Fields (JJProdigy), Seji is getting lots of press for his cheating antics, especially online. His notoriety will soon fade--until he gets caught cheating again. Do I think Seji is also an online poker cheat?